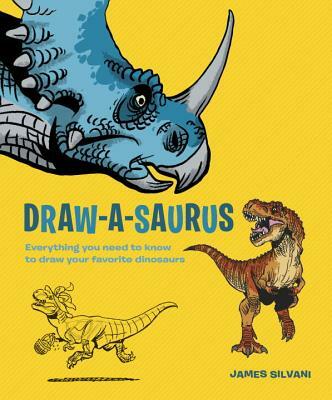 This in-depth yet accessible dinosaur drawing guide combines humor, creativity, and the latest dino research to show artists young and old how to breathe life into drawings of their prehistoric favorites. JAMES SILVANI is an artist and illustrator and has drawn characters for Disney, Warner Bros., Dreamworks, Lucasfilm, and Marvel Comics. Currently he is a comic book illustrator for titles like Disney’s Mickey Mouse, DuckTales, Darkwing Duck, and The Muppets. Silvani has drawn dinosaurs and other prehistoric beasts since childhood, and now puts those skills to use in art workshops at libraries, schools, and comic book conventions. Silvani is a resident of Kihei, Hawaii.